More than 100 projects would help improve infrastructure and protect the environment. Ecology is proposing to award more than $183 million in financial assistance for 107 high-priority clean water projects across the state. Our Water Quality Combined Funding Program supports local communities, helping them upgrade sewage treatment systems, manage polluted stormwater runoff, and complete a variety of other projects to prevent and cleanup pollution. The entire draft funding list is available online. This year, more than $114 million of our combined funding is for projects that will help support Puget Sound recovery. 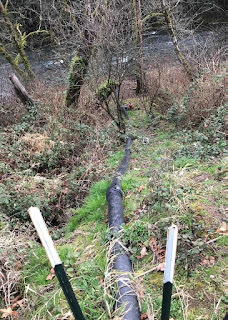 These projects are a high priority, as they help improve water quality and create a healthy habitat for the endangered Southern Resident Orca, salmon, and the food web they rely on. Nearly 70 percent of the funding we manage goes to local communities for environmental projects. Our clean water funding comes from a mix of state and federal funds dedicated for water quality improvements and protection. State financial managers calculate that 11 direct and indirect jobs are created in Washington for every $1 million spent on building clean water infrastructure. The funding is contingent on passage of state and federal budgets appropriating funding for the projects. We will announce the final project list this summer, as soon as funding is secured. Find proposed projects in your area using our interactive map. bioretention cell provides enhanced treatment for 2.9 acres. The City of Bremerton in Kitsap County may receive a grant of more than $800 thousand to construct a system to treat runoff from 6.31 acres of urban roads and parking lots and 8.32 acres of other surfaces to improve water quality in Ostrich Creek. The creek is considered the most polluted stream in Kitsap County, with restrictions on contact due to pollution. 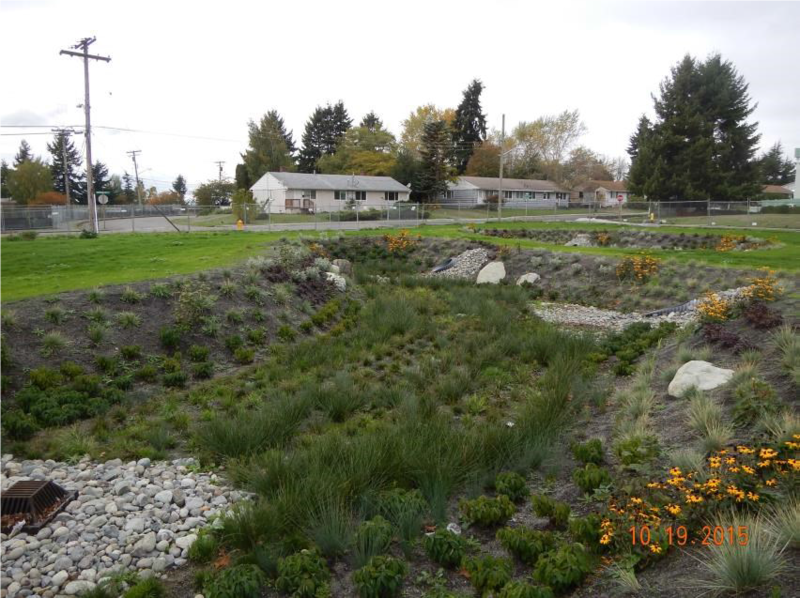 The project was the highest rated stormwater project among this year’s applications, and is a high priority in the Puget Sound Action Agenda. The City of Tacoma in Pierce County is slated for a $5 million grant and more than $2.7 million in loan to replace nearly 27 blocks of failed residential roadway in the Larchmont Neighborhood. The project will treat stormwater and reduce stormwater flows from 43 developed acres through infiltration using permeable pavement and sidewalks. The project will help restore more natural hydrologic conditions to Flett and Chambers creeks. 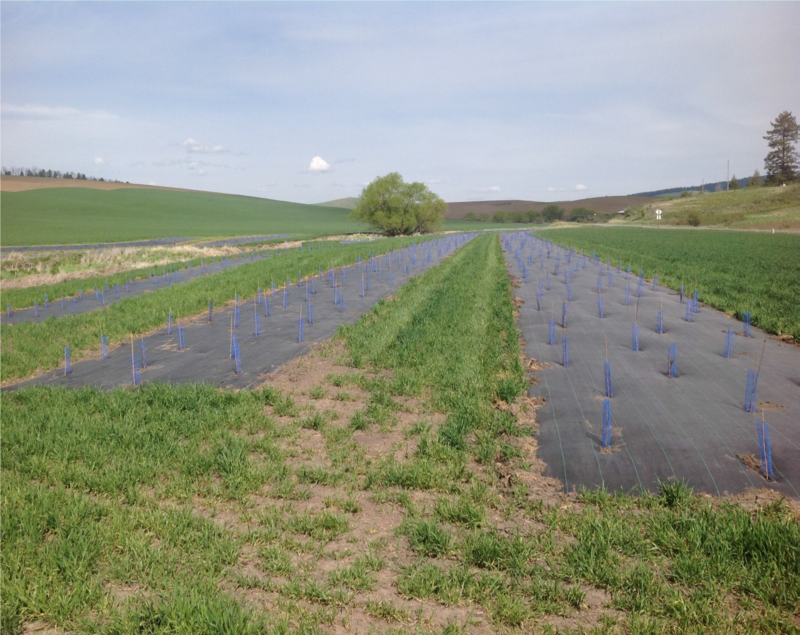 filters pollutants, and improves salmon habitat on the Palouse River. The Underwood Conservation District in Klickitat County is in line to receive a $250 thousand grant to conduct riparian planting, install cattle exclusion fencing, implement livestock best management practices, monitor water quality, and provide education and technical assistance in the White Salmon River Watershed. The primary areas of focus for the project are streamside agricultural areas in the Trout Lake Valley. The Cascadia Conservation District in Chelan County is on track to receive a grant of about $245 thousand to implement a large-scale riparian restoration plan through a community-wide clean water outreach and education campaign and by providing technical assistance to landowners to take steps to reduce nonpoint source pollution and practice good stewardship. The project is consistent with actions recommended in locally developed water quality improvement reports and management plans. if the project is funded. Yakima County is proposed to receive nearly $1.5 million in grant and $700 thousand in loan to design and construct critical repairs and improvements at the wastewater treatment facility in the community of Buena. The repairs and improvements are necessary to ensure proper treatment of the wastewater discharged from the facility. The project was the highest rated of all projects submitted for funding this year. 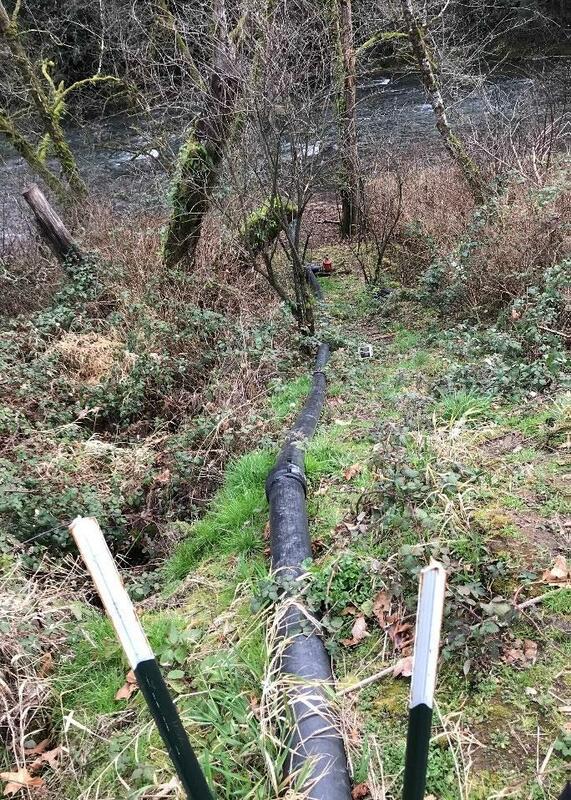 The City of Vader in Lewis County may receive about $4.8 million in grant and loan to protect Olequa Creek by constructing significant improvements to its wastewater treatment facility. If adequate funding is included in the state budget, the funding for the project will be approximately half grant and half loan. We invite comments on our draft funding list. Send comments to Daniel Thompson at daniel.thompson@ecy.wa.gov by 5:00pm on February 18. Learn more about clean water grants and loans on our website.